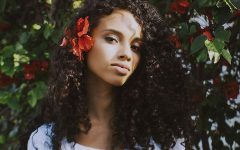 The world of fashion has gotten a wake-up call in recent years with a handful of its most prominent leaders bringing many of the less than eco-friendly (if not downright wasteful and unsustainable) issues to the forefront. And, while big name brands still have a way to go, there are plenty of small, conscious brands that can hold their own when it comes to quality and aesthetics. Case in point: Kmana. 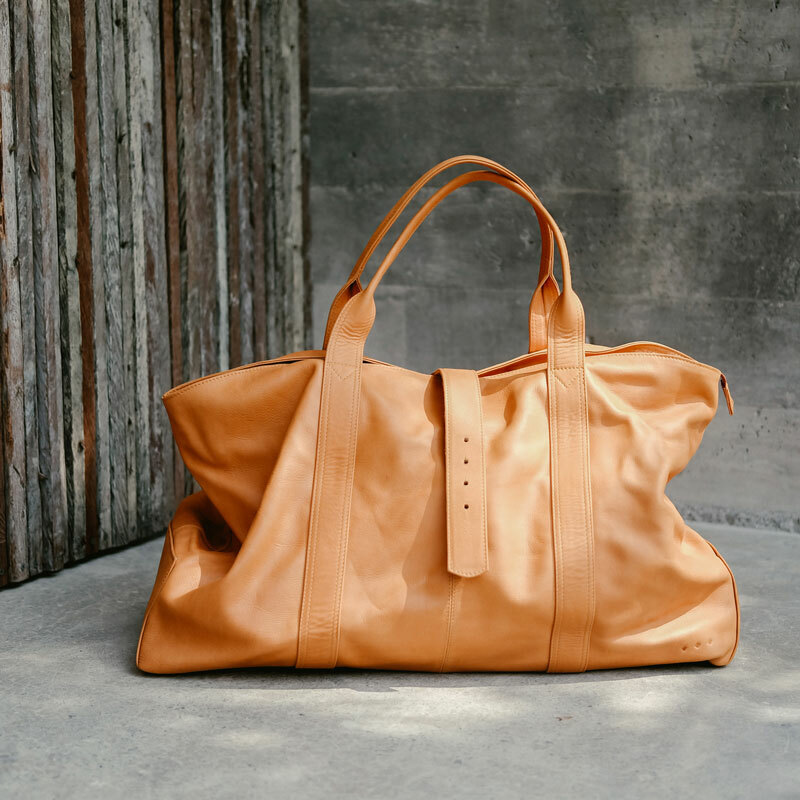 A family-run design company with a passion for sustainability, Kmana creates some of the most stunning leather travel bags and accessories you have ever seen. 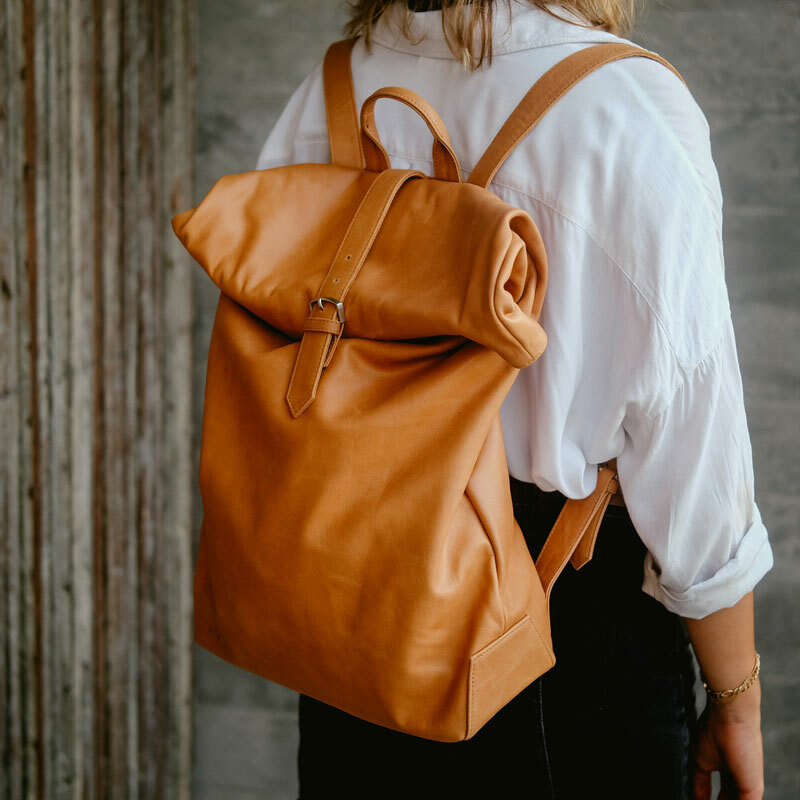 Each crafted by hand in Bali, the growing Kmana line is designed with stylish wanderers, male and female, in mind – those who enjoy looking good while on the go. Driven by the idea that “we are constantly creating the world we live in”, Kmana promises to shake up the world of design and fashion, but in a way that’s gentle enough not to ruffle any feathers. Sustainably produced in small batches, Kmana has quickly become a leader in its niche, considering the brand’s relatively recent start back in 2017. 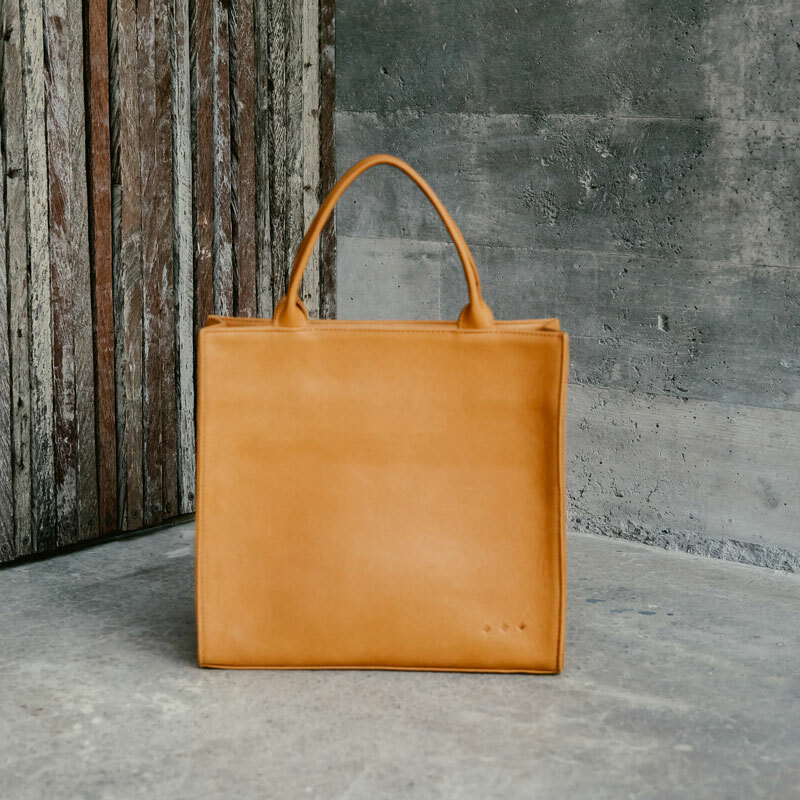 And, while many eco-conscious and sustainable labels use “doing good” as the sole headline of their marketing campaigns, Kmana’s products speak for themselves – just as beautiful and well-made as any other luxury leather bag on the market. 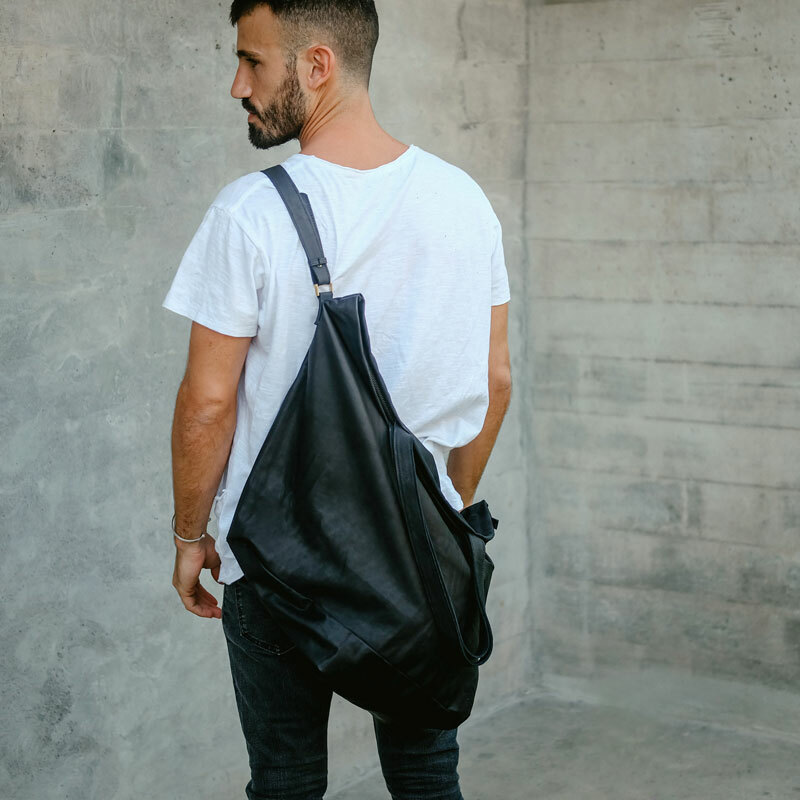 Seen on men and women around the world, from Hong Kong to Barcelona, current Kmana products range from small cross body bags to yoga mat bags and carry-all weekend bags. 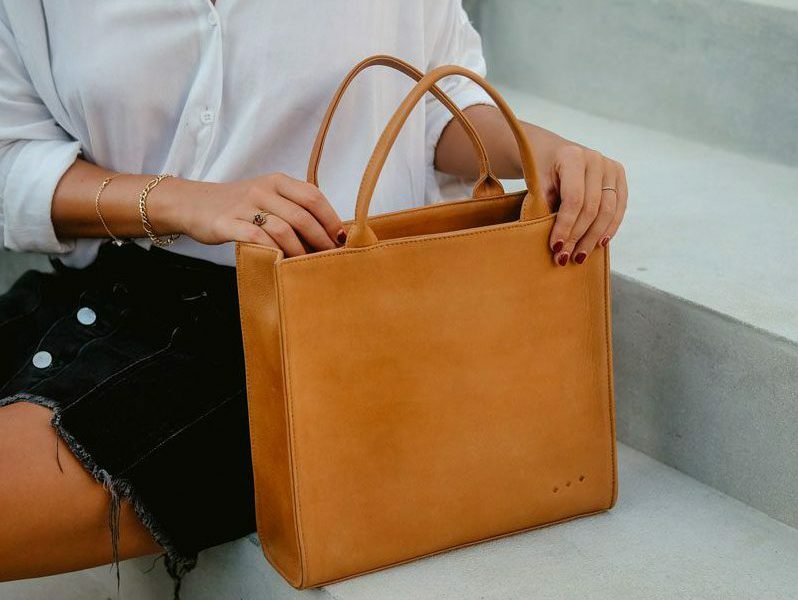 Each designed from just one piece of either full-grain cow or sheep leather, the products will last decades – if not a lifetime. And, while every Kmana product deserves a place in your life, to help you choose which will be your travel companion, we have narrowed it down to our top 5 picks for 2019. 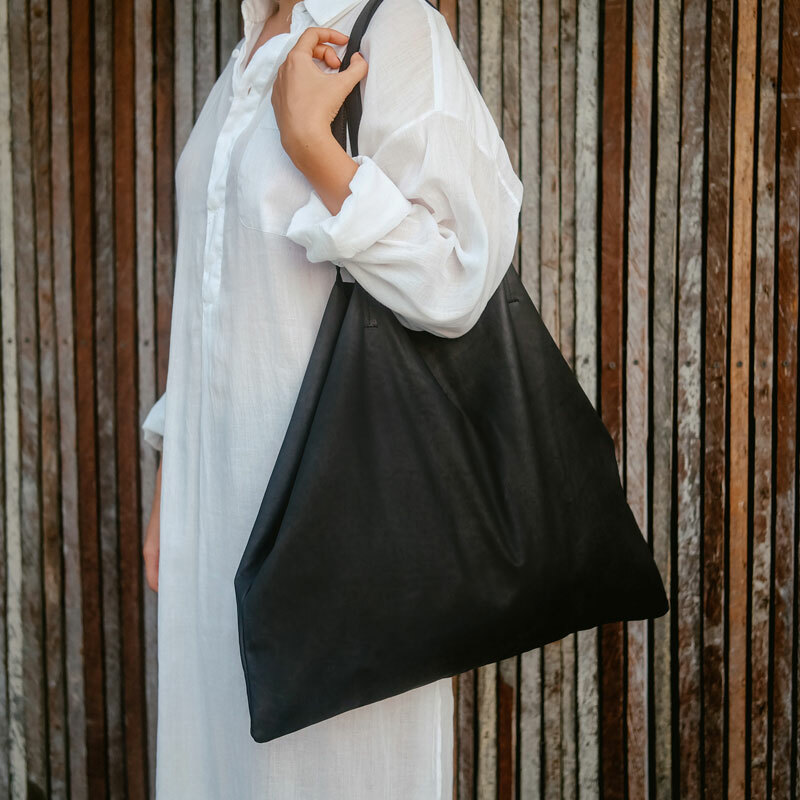 The perfect size for everyday use, the Mini Tote Bag features sturdy leather handles, side pockets, and the all-important top zipper you want for the main compartment. Available in black and camel brown, it’s easy to feel like you need both colours (because you do). An all-black stunner, The Travel Bag looks so good you won’t believe how well it works for you every day, too. With a simple zip closure and no lining, this is a throw everything in carry-all for any occasion. Use it whether travelling or not – we won’t judge. 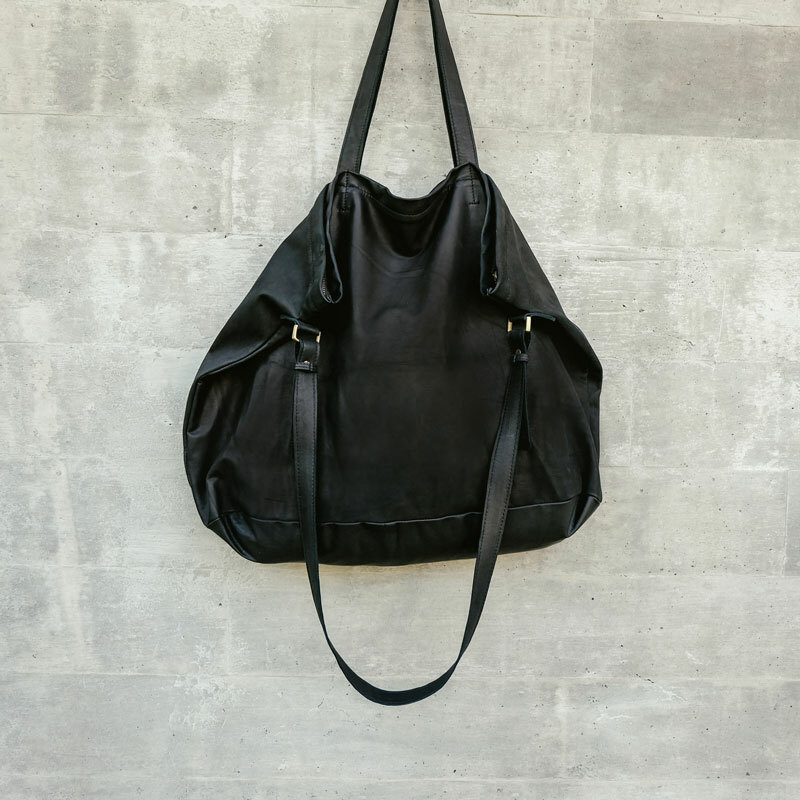 Beautifully designed and perfectly slouchy, this Weekender Bag looks as good over your shoulder as it does by your feet. The all-leather handles give you the option to wear the bag over your shoulder or hold in your hands – either way, it’s a total fashion win. Totally professional and stylist-approved, the executive-inspired Working Tote Bag comes in black and brown, giving you the ability to transition easily from work to a night out. 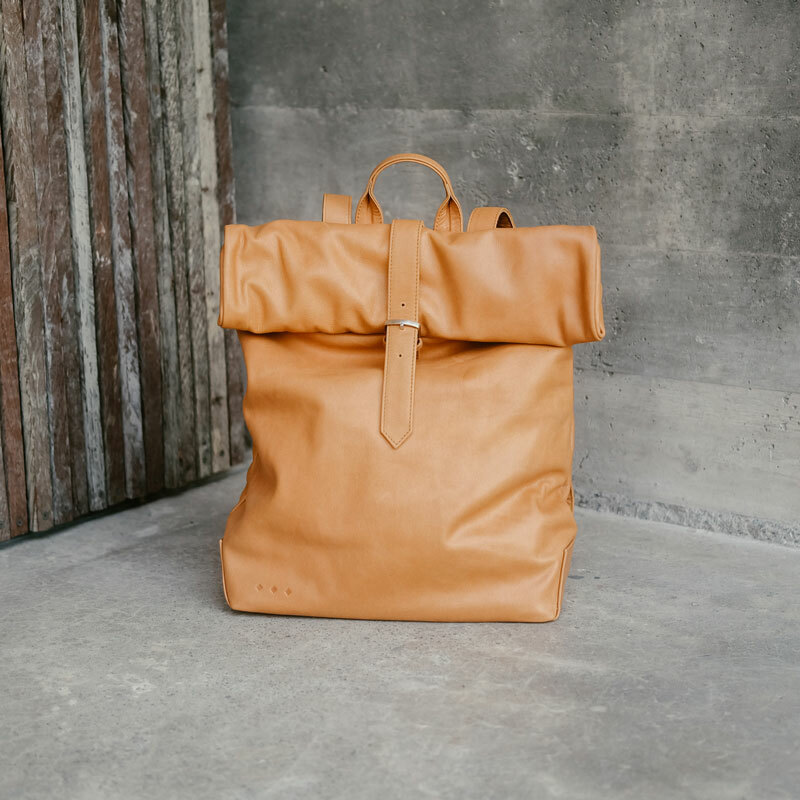 Available in black or camel, Kmana’s backpack is designed with a folded top for a timeless traveller look. 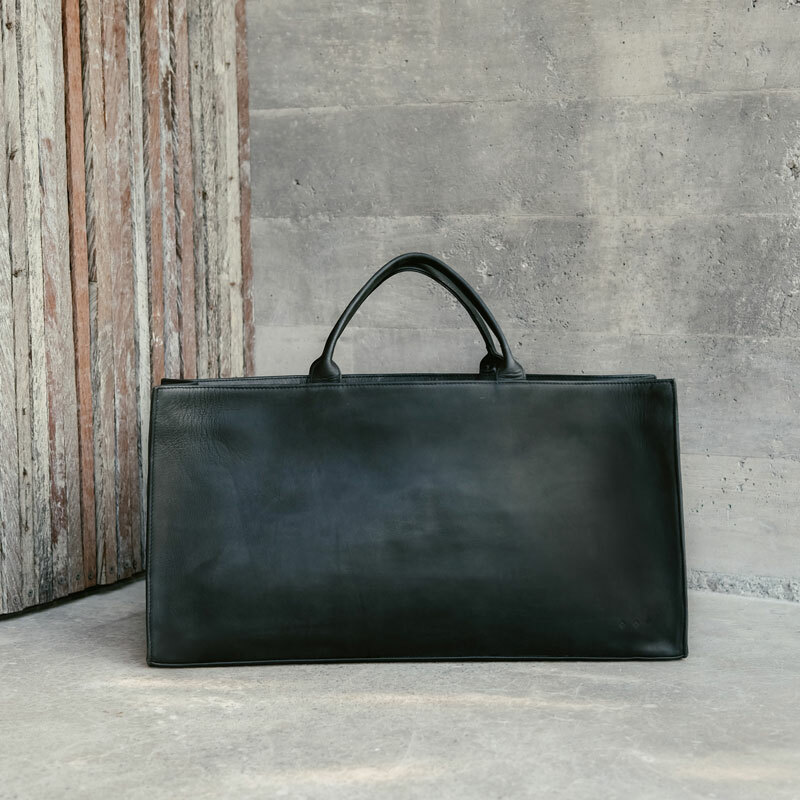 Crafted from full-grain cow leather, the interior pockets help you keep your belongings organised, whether you’re heading to the office or the train station.